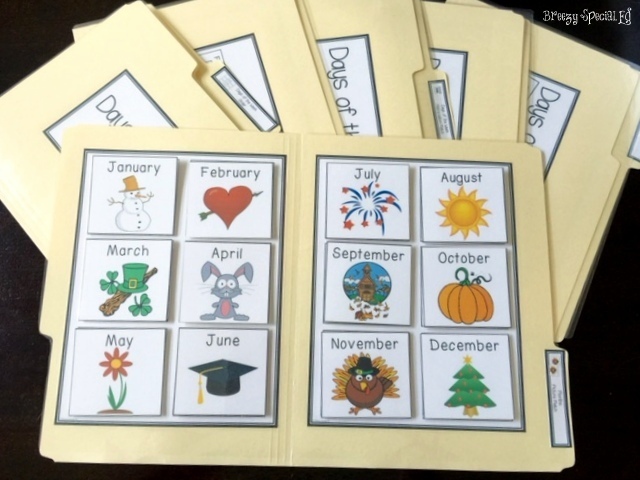 Some kids learn calendar vocabulary quickly and easily with a simple daily calendar activity during morning meeting. Other kids, well, a lot of our kids, need more explicit practice. Enter: file folders! 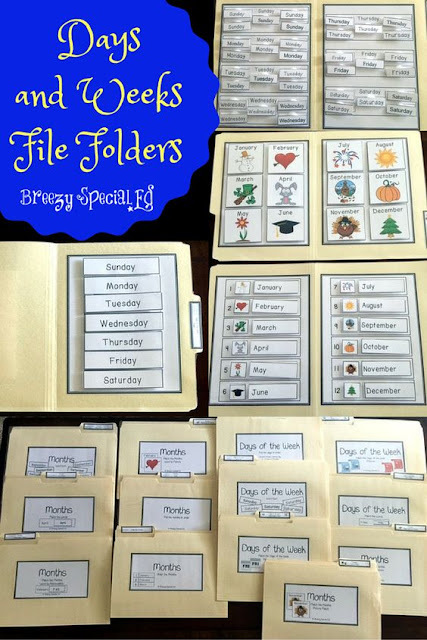 As I have said so many times, file folders are one of my absolutely favorite ways to practice skills. For some reason, my students don't see file folders as work, but as a fun activity, so I definitely use that to my advantage! 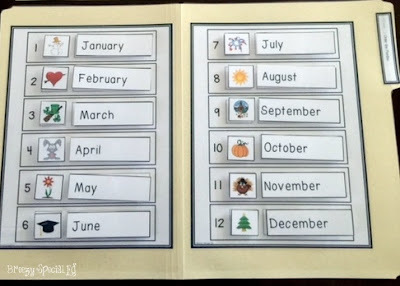 This set of calendar file folders works on a variety of simple calendar skills at a variety of levels from matching pictures to ordering months. 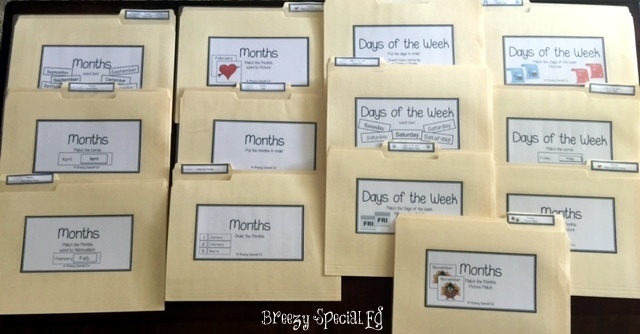 Here's a couple of the easier calendar file folder tasks to begin with. 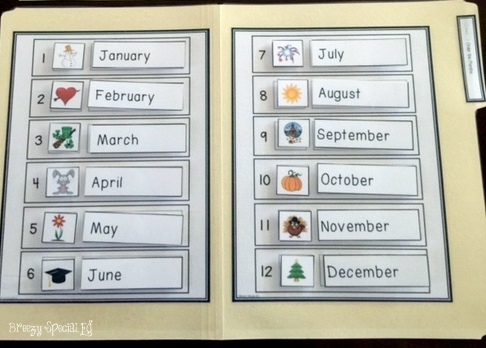 This one shown above is simply matching monthly pictures. This is perfect for your students who aren't recognizing words yet, but still need to work on calendar skills as well. I love this file folder because it actually has multiple levels in one! 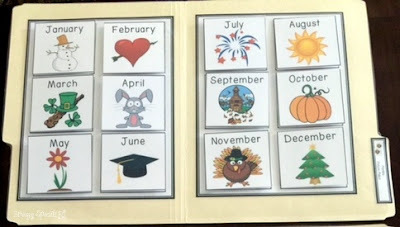 Here are your options: 1)Take off the only words and leave the pictures to have the students match the words to the pictures 2) Or take them all off and have students order the months and include the picture as well. 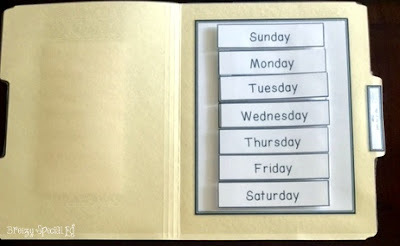 And then there is a group of file folders that work on days of the week skills. Like seen above in the month skills, there are some file folders that work on picture matching. One of the higher days of the week file folders include putting the days of the week in order such as this one. 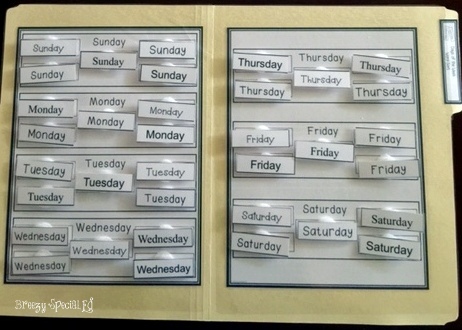 Another mid-high level is sorting the various days of the weeks words (with the words in different fonts for generalization). 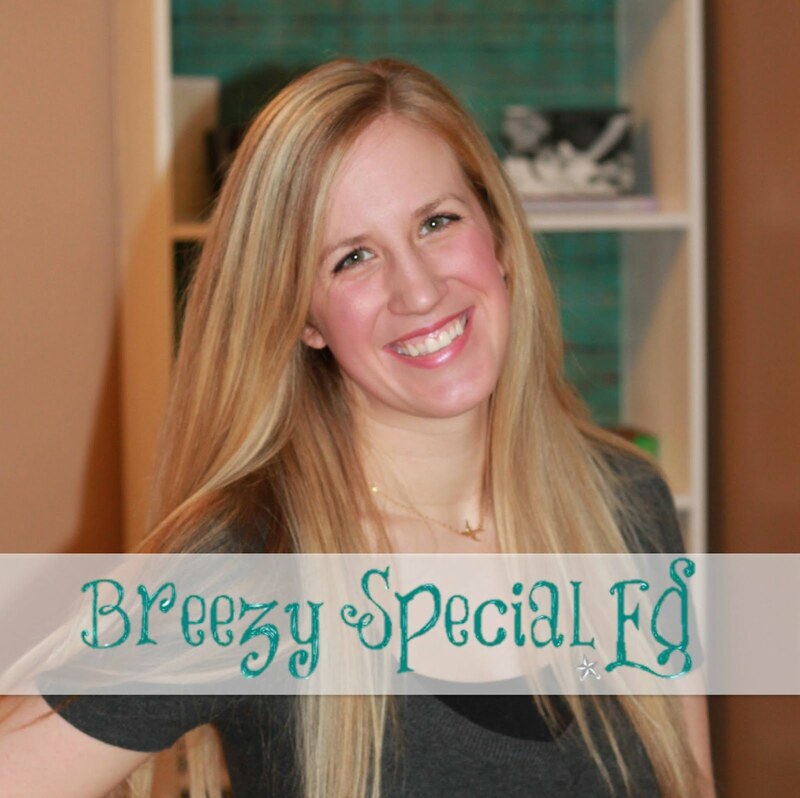 Grab them here! And be sure to check out the rest of these calendar products to further set your students up for success!